that are committed to building up Global-Africa business on a platform of FCPA COMPLIANCE. Your business partner for deal facilitation in Africa. “Enabling virtual access, opportunities and problem solving for SMEs trade and investment” Africa Business Portal. Successful entrepreneur, creator, community leader, trainer and educator. A skillful problem solver with an uncanny ability to find new solutions. The founder of Africa Business Portal he has played key roles in the linking of people, projects, education, events, investment promotion agencies, and investors that have become Africa Business Portal. Key player in the design of sub-portal networks enabling associations and other business groups and their members access to bilateral markets. A strong reputation for integrity and fair play has allowed him to create a network of over 150 advisors and country managers. Retired CPA and former construction CFO he has a keen understanding of financial flows. Founded UCPM, Inc. which is now under his son’s direction is a leader to complex insurance automation. Has held numerous positions of trust in the community including lead clergy for 8 religious congregation and currently coordinates a self-reliance initiative for 7 of those congregations. 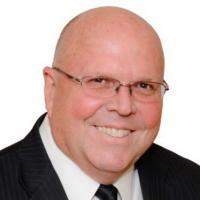 He is a member of the Arizona Advisory Committee – US Global Leadership Coalition. Adventurer. Inventor. Entrepreneur. Speaker & Educator. A skillful and energetic African business development head, with exceptional interpersonal skills and appreciation for providing first-rate customer service to clients, business partners and team members, strategic event management across Sub-Saharan Africa, he brings to the table an in-depth knowledge of operations, finance and key account management. The past 10 years he was in charge of driving revenue, shared value, distribution and Africa expansion for the ABN GROUP – Forbes Africa Magazine & CNBC Africa as the Director: Business Development and Strategy in Africa. 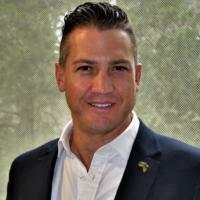 Having worked with many of the leading corporate & government across Africa over the past 12 years – He has built up a very reputable network and in-depth understanding of what it takes to do successful transactions. Currently, a partner to the Africa Business Portal – an online platform for SME’s in Africa which has incredible functionality and Project showcasing tools. ABP also has an extensive Network of Advisors, Mentors and Investors in the USA. Fernando Dolbeth Assunção started his career in Portugal at Combined Insurance Company of America. With almost 20 years of experience in the insurance industry having served as Chairman of the Board of Directors of one of Angola’s main insurers. Was CEO of Saham Angola Seguros, the largest private insurance company in Angola and he is now the CEO of Triunfal Seguros. 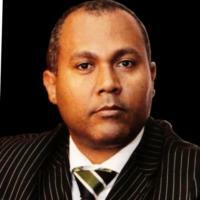 Fernando is Vice President of Africa Business Portal and President of ATIK trade and cooperation council in Angola. He is the original founder of the Angola Association of Insurance Companies. Managing Partner of Pulsar Development International, part of the Pulsar Group headquartered in Munich. Member of the organizing committee,Coordinator of the Country representatives of the Portuguese-speaking countries (Portugal, Angola,Brazil,Cape Verde,Guinea Bissau,Equatorial Guinea,Mozambique,São Tomé) for ATIGS2018 held in Washington DC. Fernando is an entrepreneur with business experience in various sectors and activities, knowledgeable about the insurance market in Angola and the business environment in Africa. He has good networking in Africa, the Middle East, Europe and the United States.